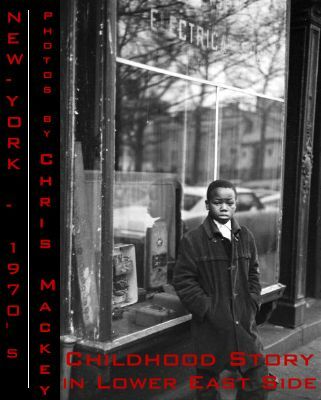 Our January 07 exhibition presents kids' life on the Lower East Side thru the sensible eye of Chris Mackey, a New York woman photographer. Photographs span over 2 decades from the early 1960's to the mid 1980's. About half are stamped by the photographer with 3 different addresses in Brooklyn depending on the date. The earliest address seems to be 244 West 11 Street, NY 14, the latest is 493 Pacific Street, NY 11217. No information on Chris Mackey could be found except that a similar series of photos is at the New York Historical Society.